Upper Lambourn trainer Archie Watson is sending horses far and wide on Good Friday, April 19, when three Arena Racing Company (ARC) courses stage racing with approaching £1.5 million in prize money. Two horses - Gorgeous Noora and Silver Quartz - challenge for glory at the £1-million All-Weather Finals Day on Polytrack at Lingfield Park, two-year-old Lady Kermit goes to race on Tapeta at Newcastle which offers £251,200 in prize money and three-year-old Shumookhi performs on turf at Bath with its £200,000 card. Five-year-old Raven's Pass mare Gorgeous Noora, who will be ridden as usual by Hollie Doyle, is being aimed at the £150,000 Ladbrokes All-Weather Fillies' And Mares Championship over seven furlongs, which is staged at 2.30pm on Good Friday. Gorgeous Noora captured the Listed Betway Hever Stakes over five furlongs under Hollie Doyle at Lingfield Park on her penultimate start (February 23), having previously chased home star sprinter Kachy, hot favourite for Good Friday's £150,000 Betway All-Weather Sprint Championship (3.05pm). Fourth on her only start over seven furlongs, when trained by Luca Cumani, Watson is hopeful that the mare will see out the longer trip at Lingfield Park on Good Friday.Gorgeous Noora cost owners David Howden and David Redvers 200,000 guineas at Tattersalls in December. The trainer said: "We were very fortunate to be sent Gorgeous Noora. I think she has probably just progressed with age and is a better horse on the All-Weather. "She won the Listed Hever Stakes at Lingfield earlier in the year. I think she is a very talented sprinter and would hope that she would be hard to beat if she stays the seven furlongs in the Fillies' And Mares' Final. "Gorgeous Noora has obviously been second to Kachy already, but I think Kachy will win the Sprint. Most of these races on Good Friday at Lingfield Park are worth the same amount of money and the Fillies' race is traditionally weaker. "I hope she goes there with a good chance and then depending on what the owners want to do, she may be retired or we'll have a go on the turf with her. "I think Gorgeous Noora will have a very good chance if she can travel within herself over the seven furlongs. Hollie has done all of the riding on Gorgeous Noora in the time the horse has been with me, so she will retain the ride." Gorgeous Noora has been covered by Australian sire Zoustar who now stands at part-owner's David Redvers' Tweenhills Stud in Gloucestershire. Watson's other runner at Lingfield Park on All-Weather Championship Finals Day is Silver Quartz in the £150,000 Sun Racing All-Weather Mile Championship (4.45pm). Formerly trained by Hugo Palmer, the four-year-old Frankel gelding finished 11th to Godolphin's Auxerre in the Lincoln Handicap on turf at Doncaster on March 30, but the trainer believes a replication of his third-placed effort on Tapeta at Wolverhampton on February 4, behind Hathal, would make Silver Quartz a lively each-way player on Good Friday. 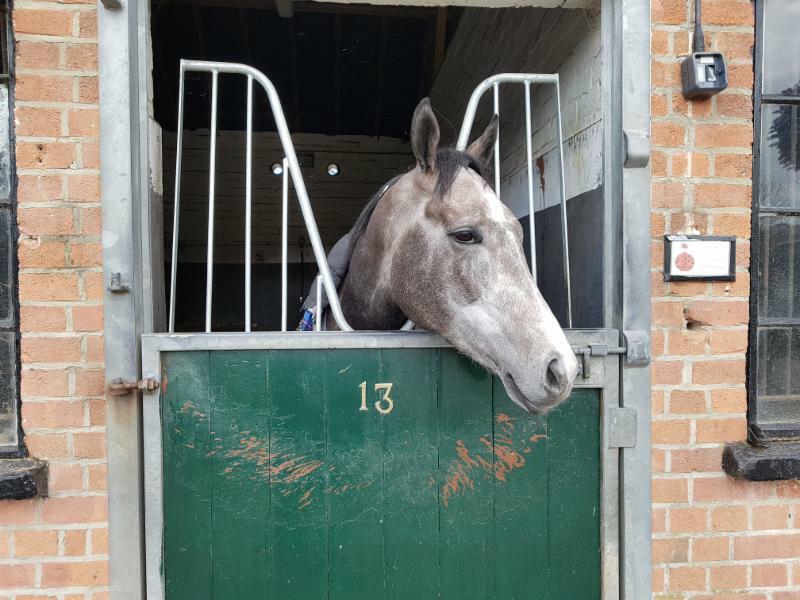 Watson explained: "Silver Quartz is a lovely horse. We were sent him in the autumn of last year. "I thought he ran a very good race in the Lincoln. He was the only horse who attempted to put it up to the winner [Auxerre], who looks a Group horse. That is the trouble with the Lincoln as you often run into a potential Group horse. I think he would have finished a lot closer if he had sat off Auxerre and come with his run late on, but he still ran well. "I think the Mile is also possibly not the strongest All-Weather division this year. Based on Silver Quartz' run in a conditions race behind Hathal, I think he could run a very good race. "Luke Morris will ride him (for the first time) and I think Silver Quartz is a lively outsider in that race. I'm not fortunate to train many Frankels, but I wouldn't say he is very typical of the sire as he is not very big, but he is just a lovely horse to train. "I think he has one of these big races in him somewhere along the line, I hope it is on All-Weather Championships Finals Day or in a Royal Hunt Cup at Royal Ascot. "He is bordering on Listed class as he showed when fifth at Deauville in December [beaten two lengths]. He will be ridden handy at Lingfield as that is where you need to be there." Elsewhere on Good Friday, Lady Kermit represents Watson at Newcastle in the £20,000 Ladbrokes Home of the Odds Boost Fillies' Conditions Stakes (2.45pm). The two-year-old daughter of Starspangledbanner was a very easy six-length winner on her debut on Polytrack at Kempton on April 3 and Watson is hopeful of a bold show in the five-furlong event. He commented: "Edward Greatrex is going to Newcastle to ride Lady Kermit. It is still very early on in the season, but I think there have been six two-year-old races and we've won three of them. "Everybody is getting frightfully over-excited about my two-year-old maiden winners, but it may just be my horses are a bit more forward than other people's. We will see in a bit. Our horses are ready, so they run. "Lady Kermit heads to Newcastle as I think it is the right race. She would carry a 7lb penalty in a normal novice race, but only carries a 4lb penalty up at Newcastle. It is probably a natural progression for her. "If everything went well for her, we would then probably look at the Marygate at York. At this time of year when you have horses who show a bit of talent, you hope to take them to Royal Ascot." Watson has 70 two-year-olds, most of whom cost between 10,000 guineas and £30,000 guineas, and believes he has his most talented bunch this year. "I think Lady Kermit is very good and Electric Ladyland is also very useful. Electric Ladyland broke the juvenile record at Lingfield (April 2) on her debut and she will go to Kempton on Easter Saturday (£9,000 Racing TV/British Stallion Studs EBF Novice Stakes 1.25pm, Polytrack), so we will know where we stand with them both after next weekend." Shumookhi was a stable star for Watson last term, capturing the five-furlong Listed Byerley Stud Stakes at Newbury in August as well as finishing placed over the same trip in both Group Three and Listed company. She was a disappointing ninth on her seasonal reappearance in a Listed event at Chantilly, France, in March, but heads to Bath on Good Friday for the feature £55,000 Listed Whitsbury Manor Stud/British EBF Lansdown Stakes (4.00pm) over five furlongs. Watson explained: "She was an early season two-year-old and we bought her for £11,000 at the Breeze-Ups last year. She ran a huge race in the Queen Mary [finished 10th, beaten two and three-quarter lengths] and was then Group and Listed placed. "Shumookhi is not the biggest. It remains to be seen if she has trained on. I would put a line through her run in France though as she missed the break and the ground was very heavy. "I think a return to better ground and getting the weight-for-age allowance will suit her. Looking at her work at home, she seems to retain all of her ability." Discussing All-Weather Championships Finals Day at Lingfield Park on Good Friday, being run for the sixth time in 2019, the trainer said: "I am a big fan of the All-Weather Championships Finals Day initiative. "We had a winner there last year with Corinthia Knight (2018 £150,000 Three-Year-Old All-Weather Championship) and it was the biggest prize any of my horses earned in 2018. The prize money on offer is fantastic. "I think the whole concept is great and the supporting Good Friday cards at Bath and Newcastle put up good prize money and they deserve to be supported as well. "I don't think Kachy can be beaten in the All-Weather Championship Sprint, so Corinthia Knight won't run. He is instead going to run at Wolverhampton in a five-furlong conditions race where I imagine he will be well-in at the weights with his rating. After that we will probably wait and run him off his turf mark in the Wokingham at Royal Ascot." Ambitious Watson, who turned 30 last month, has 115 horses in his care at the main Saxon Gate yard and another nearby yard with two open barns housing 26 and 56 respectively. He is the first trainer using the Jockey Club gallops in and around Lambourn to have more than 100 horses in training and last year - only his second full one as a handler - he became only the fourth trainer is the area to send out more than 100 winners in a calendar year, following on from Barry Hills, Peter Walwyn and Nicky Henderson. He has already made a good start, with 20 Flat winners, 19 of them on the All-Weather - and one over jumps. Watson said: "I am very competitive and I will never rest on my laurels. I am always trying to improve the quality of the horses in the yard and I like training winners. "We have 115 horses in the two yards we have in Lambourn. We have the capacity to have more horses and when I was with William Haggas there were 150 horses so something like that would be a manageable number. "People are surprised that we go to places like Ayr, Hamilton and Musselburgh and take maiden and 0-65 horses there, but probably in the same way that Olly Murphy does over jumps, I like training winners and will go anywhere for them. "It has all gone well. We've been very lucky that we've had the right horses at the right time which have attracted a lot of different owners. Everything has fallen right when it has needed to. Hopefully now, the key is to train a few more G1 performers like Soldier's Call. "We don't have too many classy older horses, but I am hoping the two-year-olds will be something to shout about. "We've got around 70 two-year-olds this year and we look to have some exciting horses. We're still at the same level, buying most of our juveniles for 10,000 guineas to £30,000 guineas, but we have always been competitive. "We've just been fortunate to be sent higher quality horses, the sort of horses we couldn't otherwise afford. Clipper Logistics, Cheveley Park Stud, Qatar Racing and Nurlan Bizakov are all fantastic owners or owner/breeders to train for. The ambition is to keep training winners. We had 54 two-year-old winners last year. Hopefully, we can match that with a little bit more depth of quality and then we will have an alright season. "We have a system that works in place here and the gallops are great, so we will be staying in Lambourn. Since the Jockey Club came into Lambourn, the quality of the gallops has improved and is on a par with Newmarket in terms of facilities, but it is just so much quieter. I did four years in Newmarket - it is fantastic, but congested in terms of people, cars and horses. "There is no queuing for the gallops or getting in each other's way here- it means the horses are more relaxed and happy which is the main thing."